“We have beauty in this town year-round. There’s a magic here that doesn’t really happen in other communities,” photographer Toni Dengel told those who attended Thursday’s “Visualizing Appalachia” program at Shawnee State University. This is Dengel’s photo of members of Cirque d’Art. Photographer Michael Toller focuses on the architecture that not only showcases Portsmouth’s history, but sets the city apart. In 1989, Life magazine published a photo essay entitled “Children of Poverty.” The essay focused on Portsmouth, and featured typical — one might say clichéd — pictures of poverty. Shots included rundown, shabby frame houses with, standing in front, barefoot children dressed in what appeared to be little more than dirty rags. Captions talked about a dozen or more people living in tiny homes. The session featured comments from Feight and three photographers and artists who have spent considerable time photographing Portsmouth and the surrounding area. “One purpose of this symposium is to show that pictures can change perceptions,” Feight said, adding that nowadays the digital tools are readily available to help reshape the overall view of Portsmouth and Appalachia. “If you want to show decline and poverty, you certainly can,” Feight said. But he quickly added there are many, many positive images available as well. Feight noted that 1989 Life magazine article was not very popular locally, for obvious reasons. A rundown home prominently featured in the essay was said by the magazine to have been the former home of slaves. Feight questioned the historical accuracy of that caption, noting slavery was never legal in Ohio. Shortly after the publication of those 1989 photos, the home depicted was torn down. What might be the bad news is the lot sits empty to this day. Feight said he believes you can buy it for $25,000. As examples of positive images, Feight showed some of his own photography, including a very complimentary shot of large, comfortable looking homes on Franklin Avenue; young students on a field trip to the Ohio River flood wall; and a shot of youths playing in a public swimming pool. “You don’t see pictures of community, really,” Feight said regarding the last picture. “My perception is, we have beauty in this town year-round. There’s a magic here that doesn’t really happen in other communities,” Dengel said. In addition to nature shots, Dengel showed photos of what she said were some of the stunning and historic churches around Portsmouth. She also screened pics of various community events around town, including several fundraisers and happenings, such as the annual Roy Rogers Festival. “There’s a great love in this community,” Dengel observed, seeming to tear up a bit as she spoke about her own love for her hometown. 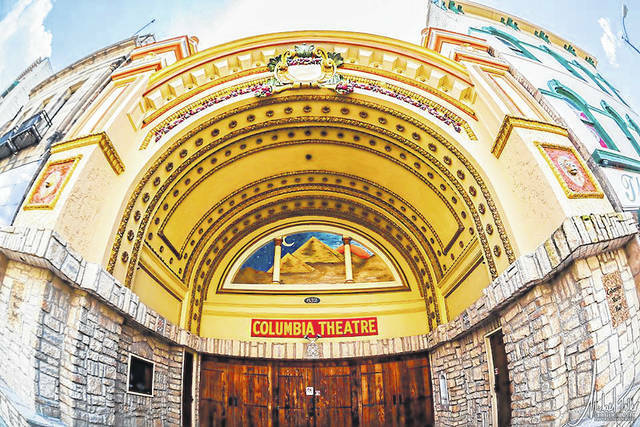 Michael Toller, a photographer who is a Portsmouth native but now lives in Missouri, continued the photographers’ program on a nostalgic note. 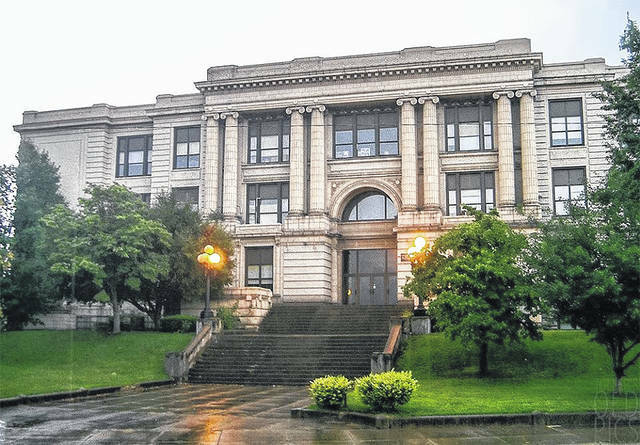 Toller’s Facebook page, filled with shots of his hometown, is entitled “Portsmouth Ohio Views.” Toller recalled the now long-gone former Portsmouth High School, noting his grandparents attended classes in the same building. He said he was sorry to see the old school go, but understands there must be progress. 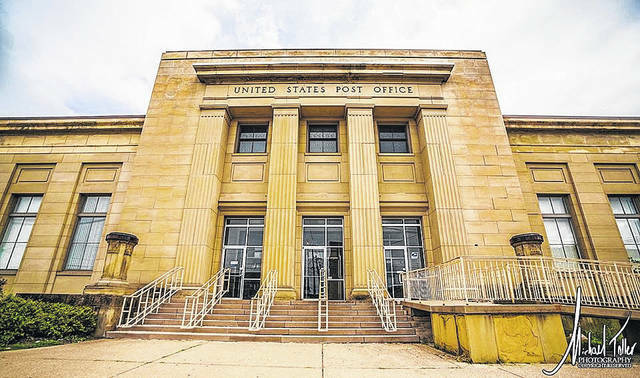 Toller’s work also features the historic Boneyfiddle area and what he believes to be highly notable local architecture at the Portsmouth Post Office and the Scioto County Courthouse. One more speaker for the afternoon was Eli Allen, who showed lots of Photoshop and composite works, some of which he admittedly said were better than others. Allen repeatedly joked he is not a photographer, and is mystified by how some of the shots displayed by the others were taken. Much of Allen’s work combined newer photos with historic photos of the same location, or placed older human figures into modern-day settings. One final planned speaker for the afternoon, photographer Roy Green, could not make it, Feight said. The symposium continued into Friday evening and included a session highlighting work on a documentary about Portsmouth now in the works.